We like to show case our cattle, and bench mark them against the cattle of our peers. Additionally, we enjoy supporting our local shows. In 2016 Riverslea were very excited to come away with Champion Senior Bull and Reserve Champion Junior Bull in the Santa Gertrudis Ring at Inverell Show. 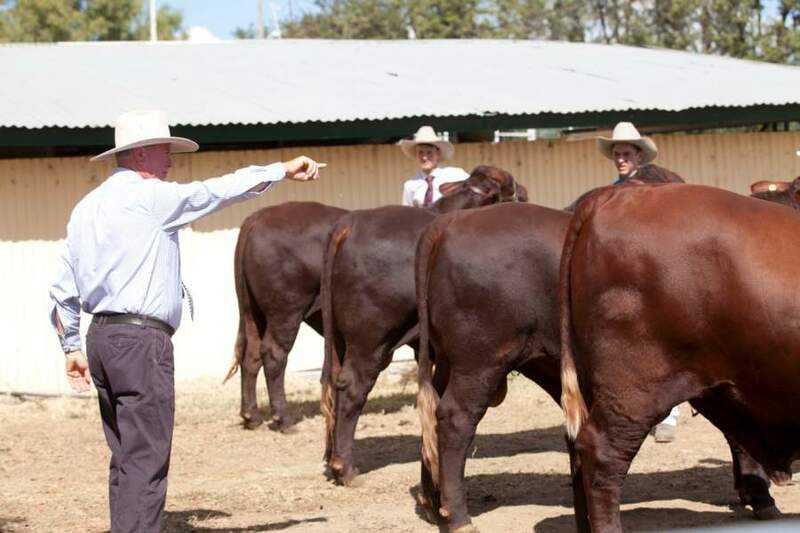 We also had an excellent day out at Moree - winning Champion Senior Bull with Riverslea King Kong (PS) who went onto win Champion Senior Interbreed Bull. Riverslea King Julian (P) impressed again by taking out Reserve Champion Junior Bull. The Kings joined forces to also win Interbreed Pair of Bulls! Another sucessful day at Inverell 2017 with Champion Junior SG Bull Riverslea Majak (P), Reserve to Riverslea Mambo (PS). Champion Senior Bull & Grand Champion SG to Riverslea Legend (P).